The NGK Powerdex AFX is replaced by the Ballenger Motorsports AFR500 or the NTK AFRM GEN2. The NTK AFRM was discontinued and replaced by the NTK AFRM GEN2, which is now in stock! The NGK Powerdex AFX has been discontinued by NGK. The NGK Powerdex AFX is replaced by the Ballenger Motorsports AFR500 or the NTK AFRM GEN2. The Ballenger Motorsports AFR500 is identical to the Powerdex AFX and works with the same sensors, wiring, offers the same reliability, and is a direct successor to the NGK Powerdex AFX. The NTK AFRM is a true air/fuel monitor that senses exhaust oxygen, carbon monoxide, hydrogen, and hydrocarbons in the exhaust and calculates real time air fuel ratio (AFR). NTK # 96604 . The NTK AFRM updates upon the NGK Powerdex AFX in several ways and now offers lambda display as well as AFR. 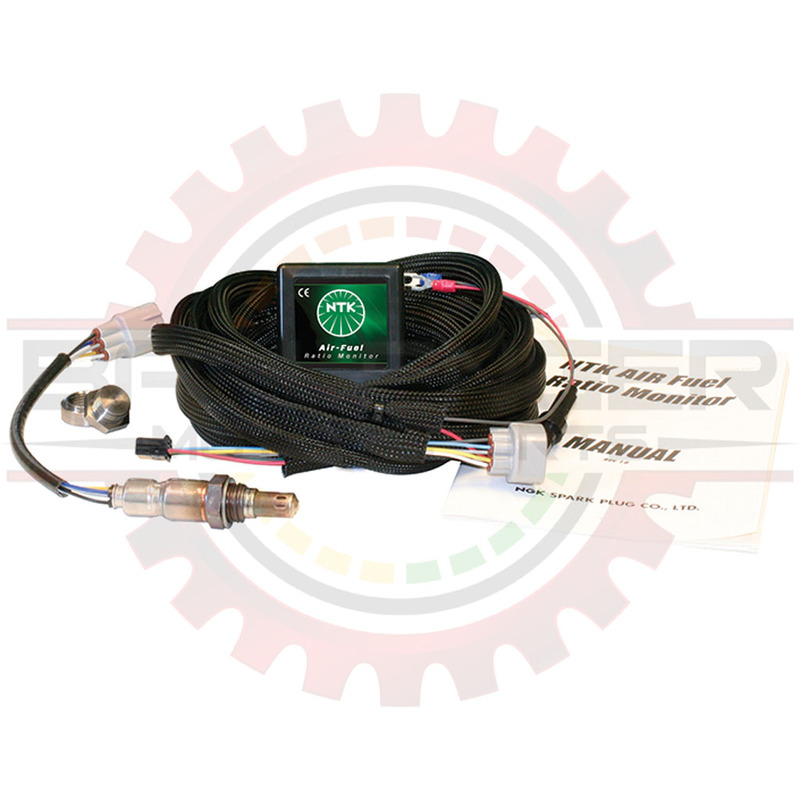 The NTK AFRM Air Fuel Ratio Monitor is the most affordable true wideband technology to date. Many low-cost air-fuel ratio monitors do not use wideband sensors; they simply manipulate a standard narrow-band oxygen sensor signal with rough inaccurate data resulting in only marginal success. 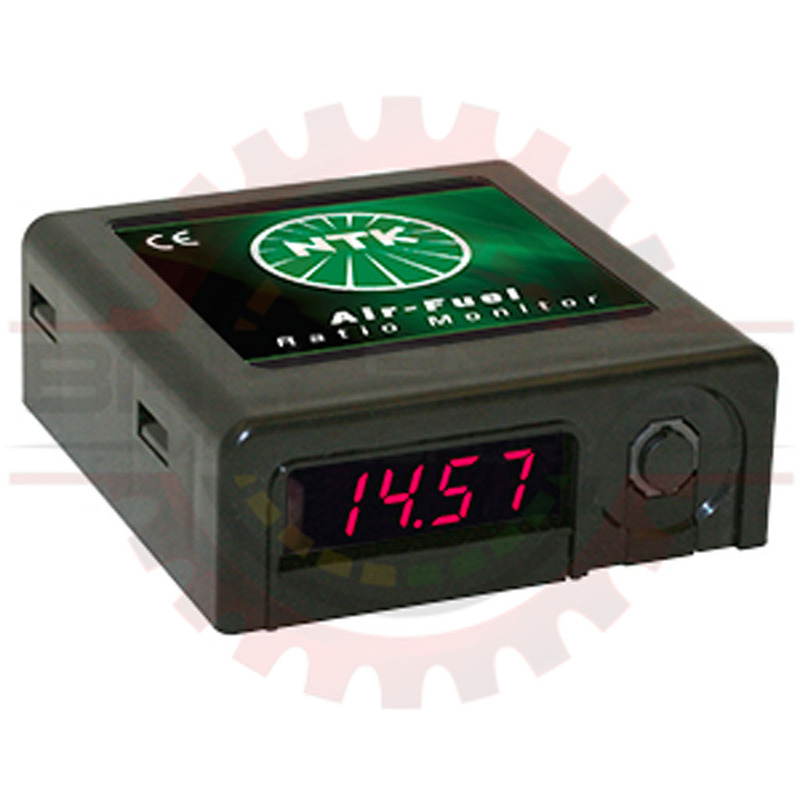 The NTK AFRM Air Fuel Ratio Monitor reads air fuel ratio (AFR) values from 9.0 to 20.0 (0.62-1.37λ) with a resolution of 0.1. The NTK AFRM is a true air/fuel monitor that senses exhaust oxygen, carbon monoxide, hydrogen, and hydrocarbons in the exhaust and calculates real time air fuel ratio (AFR). Air Fuel Ratio is a crucial parameter that dictates horsepower and engine performance. Performance enthusiasts and tuners can use Air Fuel Ratio information to make adjustments to the fuel delivery system (carburetor, fuel injection) to help achieve the maximum horsepower available from their engine. The AFX is compatible with a next generation NTK UEGO (wideband) sensor without any changes in hardware or programming and offers superb accuracy (comparable to some laboratory grade systems). Traditionally these types of tools commanded price tags in the thousands of dollars putting them out of reach for most enthusiasts and amateur/grassroots racers. NTK's advances in technology have made this highly accurate tool affordable. NTK is the world leader in exhaust gas sensors and sensor related technology. They supply OEM oxygen sensor technology to a huge range of Asian, European, and domestic auto manufacturers. The NTK AFRM has a 0 ~ 5V, linear analog output for AFR that can be used as an input to an engine controller, data acquisition system, or analog gauge with 0 to 5 volt input. This is all you need to accurately read air fuel ratio values. Q: Can the NTK AFRM use the same sensors as the NGK Powerdex AFX? A: No, the NTK AFRM uses a new sensor specifically designed for this application. At Ballenger Motorsports, we know how annoying it is to see companies skim off the top on shipping. It's always insulting when you feel you got a good deal only to find that it cost $50 to ship something that cost $15 to ship. We don't make money on shipping and we don't overcharge on shipping. If you have any questions, please feel free to contact Ballenger Motorsports at sales@bmotorsports.com.